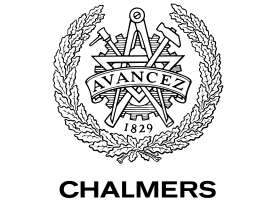 Timber is a direct descendant of O'Haskell, which was developed at Chalmers University of Technology in 1999. O'Haskell extended the lazy functional programming language Haskell with object-oriented concepts such as methods, classes and subtyping, while retaining the purely functional execution model of its ancestor. It also introduced the characteristic notion of concurrent reactive objects that Timber subsequently has adopted. The Timber language attained its main shape during the Timber project, which was run at the Oregon Graduate Institute between 2000 and 2003 as part of the DARPA PCES program (Program Composition for Embedded Systems). Here the semantics of time-constrained reactions was developed, and it was also decided to abandon the lazy execution model of Haskell and O'Haskell in favor of a more standard (i.e., strict) parameter passing mechanism; primarily for the purpose of facilitating more predictable execution times. A prototype Timber interpreter was developed at this time, based on a similar implementation of the O'Haskell language. After 2003, work on the Timber language regrettably had to continue at a slower pace, primarily concentrating on completing the implementation of the Timber compiler. Since 2007, however, the project has regained momentum, and the language is now being actively developed and maintained by groups and individuals at Luleå University of Technology, Chalmers University of Technology, University of Kansas and Portland State University. Version 1.0 of the Timber compiler was publicly released in the fall of 2008.